April 12, 2019 - Cascades Inc. yesterday announced that it is extending its transportation electrification program to all its employees in Ontario. In addition to its 4,400 Quebec-based employees, the company will now offer its 2,200 employees in Ontario access to the program that encourages individuals to transition from gas to electric or hybrid vehicles. 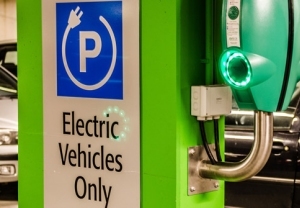 To support its employees to reduce their greenhouse gas emissions, the company will also install 30 new 240-volt charging stations at its Ontario facilities, extending the network of the 80 that have already been installed in Quebec. It will also provide a financial contribution of up to $2,000 for each employee who purchases an electric vehicle. This is in addition to any government grants that may be in effect. The announcement was made at the Company's Ottawa sorting centre, in anticipation of Earth Day, and in the presence of the environmental leader Dr. David Suzuki and students representing Ontario EcoSchools.